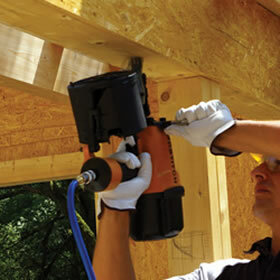 ALL IN 1 is an innovative hydraulic nailing machine, which is able to simultaneously carry out the nailing of the upper part and the lower part of the wood pallet using a double bar. 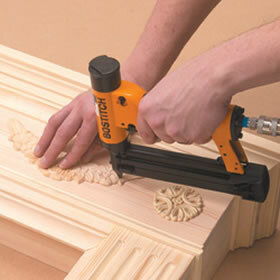 The clamps are designed to ensure the perfect nailing of the lower part without the risk of a nail jam. 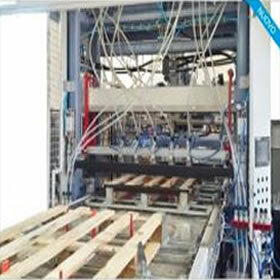 The machine is designed to produce multiple types of pallet with a quick change of the jigs. The minimum working dimensions are in width 600 mm. 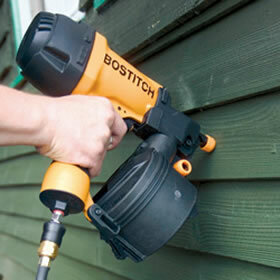 and in length 600 mm. and the maximum working dimensions are in width 1200 mm. and in length 1600 mm. The structure is made of high mechanical strength steel tubular. 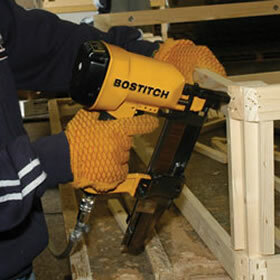 The advancement of the pallet is made by a continuous moving chariot complete with jigs. Fast and easy adjustment are the peculiarities and characteristics of the ALL IN 1. 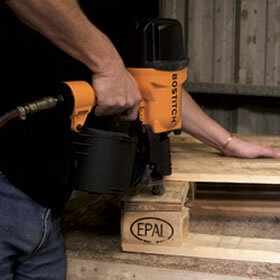 With the simultaneous nailing you will prevent the movements of the various elements that composes the pallet. 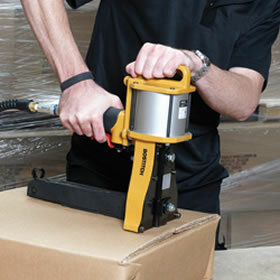 An automatic clamp will unload the pallet in the right position on the pallets finishing line . The hydraulic system is equipped with a heat exchanger that keeps the oil in the hydraulic circuit at a constant temperature, allowing a tough and hard use of the machine, without causing damage to the hydraulic circuit.